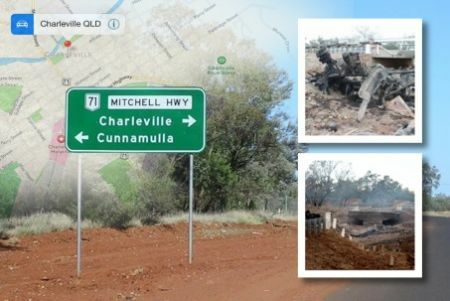 A bridge on the Mitchell Highway between Charleville and Cunnamulla was closed indefinitely after a truck carrying ammonium nitrate rolled over and exploded on Friday 5th September this year. 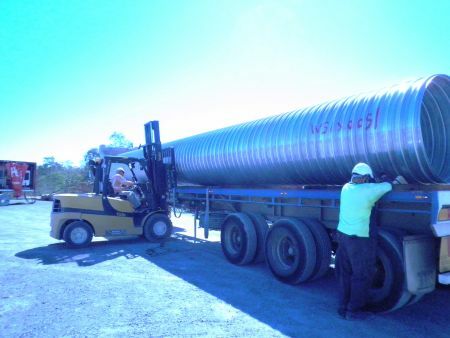 Team Transport sent a convoy of vehicles out to the bombed site carrying Humes corrugated metal pipe (CMP) for the temporary diversion bypass road. 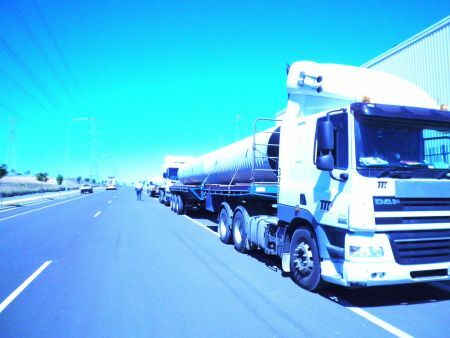 The diversion road has now been opened for cars, buses and trucks weighing up to 22.5 tonnes to cross the Angellala Creek which is a relief for some truckers who have been forced to take detours of up to 600 kilometres around the crash site. The temporary access has been made possible due to the prompt response by all involved and the quick actions of our project managers, being able to coordinate the project at short notice. The vehicles got there safely and on time and it is a credit to our Team. A big thank-you to our drivers ; Geordie Mathers, Shane Heller, Eugene Stephens and Colin Waters. A job well done Team!